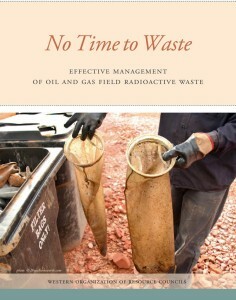 No Time to Waste examines standards and disposal practices around radioactive oil and gas waste in Colorado, Idaho, Montana, North Dakota, South Dakota, and Wyoming. It finds that state governments in each of these states fail to protect citizens and the environment from a hazardous and quickly growing waste stream. 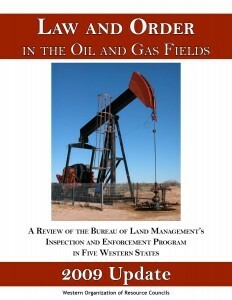 The report calls for federal rules for radioactive oil and gas waste and stronger state standards. 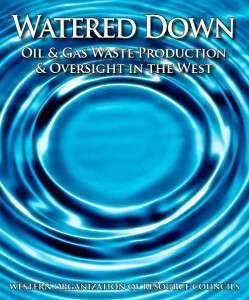 Watered Down is the second of a series of reports on the impact of oil and gas extraction on water. 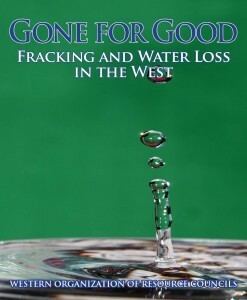 Gone for Good, the first report, outlined where the oil and gas industry gets the massive quantities of water used for hydraulic fracturing, or “fracking.” It also identified how state governments track water use (when they do), and how much is actually consumed without the possibility of reuse any time soon. Almost all water used for fracking is consumed and cannot be reused, as it turns out. Coalbed Methane Development: Boon or Bane for Rural Residents? 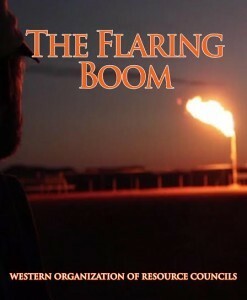 Natural gas, or methane, is a cleaner burning fossil fuel, the demand for which is on the upswing in the United States. But there are negative impacts from the extraction, production and distribution of natural gas, especially in rural areas. Coalbed Methane Development: Boon or Bane for Rural Residents examines the impacts of one form of natural gas development, commonly called coalbed methane. Filling The Gaps contends oil and gas companies should pay to cleanup their oil and gas operations, not taxpayers and landowners. To guarantee responsible behavior, the U.S. Bureau of Land Management and state agencies should require companies to post a full damage deposit – financial assurance – as a security against possible problems, along with reclamation plans detailing how a site will be restored. Unfortunately, the amounts of this financial assurance required fall grossly short of potential cleanup costs. 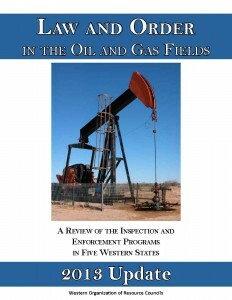 Law and Order in the Oil and Gas Fields updates a look at how state and federal oil and gas agencies fail to keep up with the rise in oil and gas drilling. 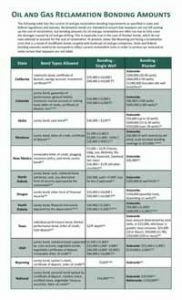 With new data showing that state and federal oil and gas agencies are not keeping up with the rise in oil and gas drilling, members of WORC are calling attention to the need for state and the federal governments to fund more inspectors and increase penalties for violating public health, safety and environmental laws.